Some of you are aware that Debbie’s father Bob passed last July. Well, Virgina, my mother and a regular past attendee of CircleSong took off with the angels on January 2. 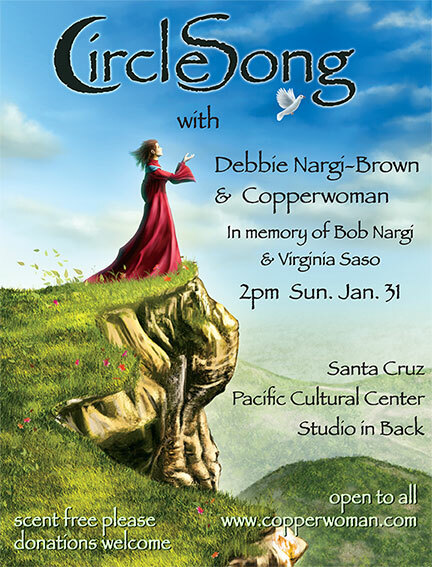 Please join us in as we honor them with CircleSong on January 31st at 2pm.